Someone probably slid it across your desk yesterday: A new study by INRIX found drivers still spend a lot of time searching for parking and paying for parking they don’t necessarily use. But what the news stories didn’t say is how much progress is being made by the parking and mobility industry to ease those pains—or that drivers who use new technologies and services to find parking generally spend a whole lot less time and money finding and keeping their spaces. Drivers who use Waze to navigate can also use it to find out how much parking is available at their destinations and exactly where it is. Those who use Google Maps can mark where they’ve parked and get reminders about how long they’ve been there (to avoid overpaying or receiving a citation). A host of companies offer text reminders to drivers when they’ve used a percentage of their pre-paid meter parking, and most allow them to feed the meters remotely, adding time (where legal) without going all the way back to the car. And an increasing number of apps let drivers find on-street parking with realtime data, showing them exactly where spaces can be found before they circle the block. Drivers in 32 cities and counting (including Chicago and New York—both spotlighted as having parking challenges in the INRIX study) can use SpotHero to reserve and pay for parking before heading out. ParkWhiz says they offer parking reservations in more than 200 cities. And lots of other apps and websites are available to take away the parking pain with a little pre-thought—some specifically target shopping centers, airports, sporting venues, and healthcare centers while others cover entire metro areas. 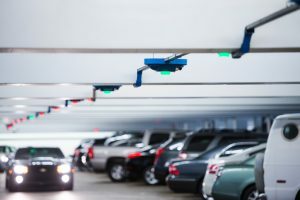 Garages around the world are increasingly being built or retrofitted with wayfinding systems that tell drivers how many spaces are free before they pull in, and use lighting and other ways to help them find free spots after they’re inside. And the trend toward robotic garages is increasing, too, allowing cars to be pulled into a system and parked by machine while the people walk away, free to do something other than look for a space. 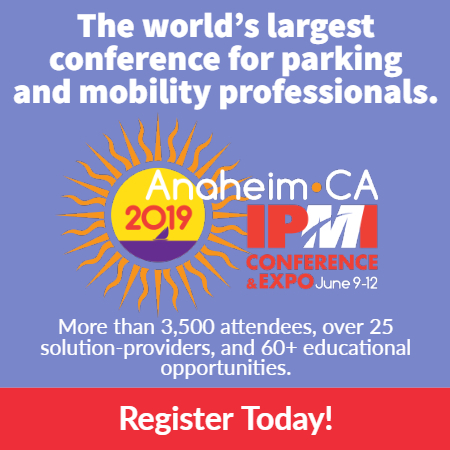 The industry knows parking has actually never been easier to find or use. So perhaps the real story isn’t painful parking, but spreading the word to more drivers about the technologies they can use to eliminate circling for a space or paying for too much time, not to mention all the new ways they can get to their destinations without using a car at all. We think the future looks quite bright and the present is pretty good, too!